LOLTHULHU » O HAI. LOST MY WAY TO R’LYEH. O HAI. 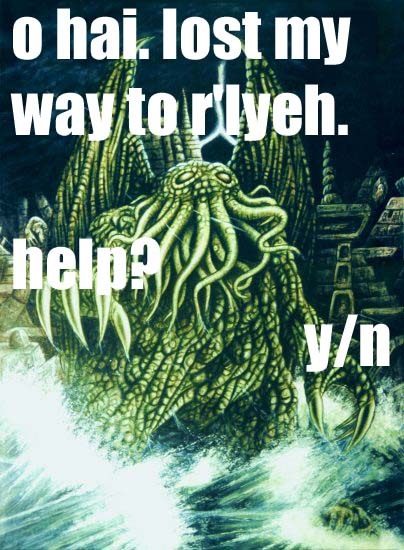 LOST MY WAY TO R'LYEH. 2 Responses to O HAI. LOST MY WAY TO R'LYEH. Stunning , fine art laugh bordering on retch.